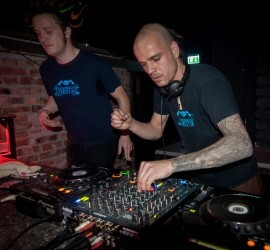 MONGOOSE & MEEHAL flood the dancefloor with a crackling, driving mixture of psytrance-oriented elements and a progressive structure. The sophisticated DJ sets of this Leipzig duo are the fruits of countless fun-charged hours behind the DJ Booth. Since 2011, they are also known for their live act Psychophysical Transcripts, and sprinkle their own studio flavor on each and every DJ set.